Krsnacandra Dasa – Vrndavan: Abhiram Dasa and Panca Gauda Dasa, Property Developers of ISKCON Vrndavan, have been given the green light by their co-conspirator Gopal Krsna Goswami for their development plans for ISKCON Vrndavan and Abhiram Dasa is at this moment seeking to hire architects for this large scale multi development project. He is most definitely not seeking refuge in the Holy Name, but he is dreaming of big big plans for the development of ISKCON Vrndavan. This means that the claims made by Abhiram Dasa that he is not involved or aware of any development plans for the Goshala are nothing but a lie. If he is lying about this, what else is he lying about? The Krsna Balaram Mandir here in Vrndavan is an international project and the home/Samadhi of His Divine Grace AC Bhaktivedanta Swami Srila Prabhupada first and foremost. The integrity and chastity to Srila Prabhupada must be of prime importance to any GBC or Temple Management. 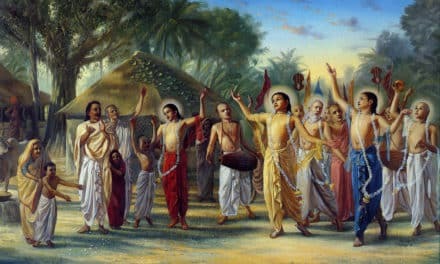 The fact that Gopal Krsna Goswami (Who is now in total managerial control of ISKCON Vrndavan), Panca Gauda Dasa and Abhiram Dasa have clandestinely plotted together to develop this Temple without the knowledge or consent of the International Devotional Community should cast doubt regarding their motives and intention. The worldwide devotional community have a right for full disclosure of their plans for Srila Prabhupada’s property and Temple. The fact that this has been done in secrecy and shrouded in misdirection and deceit, means that not only that they do not care for anyone’s opinion except their own, it also infers that they know they would never have their plans approved by the general devotees. 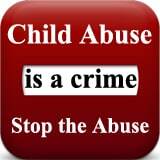 Such great changes that will be made should not be in the sole hands of a small group of individuals. 1. The building of an “MVT” style Apartment Complex on the Cows land for rich ISKCON devotees, life members and themselves. *Abhiram is infamous for allocating for himself 3 apartments in the MVT Vrndavan project – a Penthouse apartment, a 2Brm apartment and a 1Brm apartment. *Both Abhiram Dasa and the Temple denied any knowledge of any plans to develop the Goshala land and stated that their ideas were to merely plant trees and create japa walkways. However, their plans for this development are still going on regardless of the senior devotees who had firsthand knowledge that all the Goshala Land was purchased specifically for the cows. 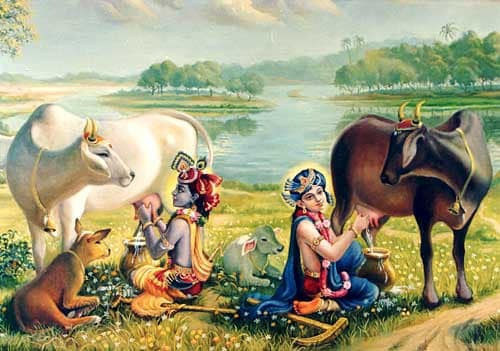 *This is also regardless of the spiritual relationship that Lord Krsna had with His cows in Sri Vrndavan Dham. One must remember that Sri Vrndavan Dham is only small part of the greater Braja area and each area has specific pastimes associated with Krsna’s lila there. Our ISKCON Temple is situated in Sri Vrndavan Dham and so to move the cows to another area is nothing but a total disregard for the transcendental nature of Krsna’s lila there. 2. The DEMOLITION of Srila Prabhupada’s Gurukula Building and the building of a multi story apartment / museum / restaurant complex. * This building is Srila Prabhupada’s pride and joy intended for transcendental education purposes for both children and adults. Its maintenance has been irresponsibly neglected by successive Gurukula authorities and now lies in disrepair. It does need extensive renovation but it is a beautiful building with great potential to meet the requirements of Srila Prabhupada. 3. The purchasing of land to relocate the Goshala Cows to land which will find the cows miles away from Vrndavan Dham. * Given the inflated prices of land in the Vrndavan area this makes sense, but it should not be done at the expense of Krsna’s cows in Vrndavan dham. Gopal Krsna Maharaja’s lack of spiritual vision regarding the sacredness of Sri Vrndavan dham and the relationship and pastimes of the cows and Krsna is evident in this ruthless and thoughtless plan. 4. The financing and relocation of the now privatised business of the Bhaktivedanta Gurukula and International School. *This school has long since departed from being a representation of Vedic Vaisnava education as instructed by Srila Prabhupada and is now a karmi secular educative school and therefore should not be allowed to have access to ISKCON funds / donors / resources / staff and accreditation. *Gopal Krsna Maharaja has already secured a donor who will help fund the Gurufool relocation so they are well on the way with ripping off ISKCON with the full consent of the GBC to use ISKCON’s resources and funding system to support their rebellious cause. * To ‘kick off’ the funding for this ambitious property development is the sale of what is known as Sarif Land which is a prime piece of real estate that is worth millions of dollars US. Part of the proceeds from the sale will fund the above Gurukula relocation and part will fund the other projects. *One must remember that this property per square yards is worth many times that of the Goshala Land, being situated on the main road. *If the sale of this land goes ahead it is best that the sale price is checked against the local rate of property as it has been rumoured that the price quoted by the Temple for this sale is far less than the land is actual worth. The reason behind such a deal would infer foul play. It is a shame that Srila Prabhupada’s Home and one of the most profitable Temples in ISKCON has succumbed to materialistic men and their money making plans that go against our Vaisnava siddhanta and the purpose in which Srila Prabhupada has handed over the management of his movement. There is no doubt that ISKCON Vrndavan needs to be developed but any development must be done with full disclosure and with the blessing of the devotees and most importantly it must be in compliance with Srila Prabhupada’s wishes. The last point is that should we, as a worldwide devotional community, allow devotees whose background is property development in the business sector to dictate and oversee Srila Prabhupada’s most precious spiritual gift to our worldwide devotional community? Yours in the service of the Cows and Srila Prabhupada. 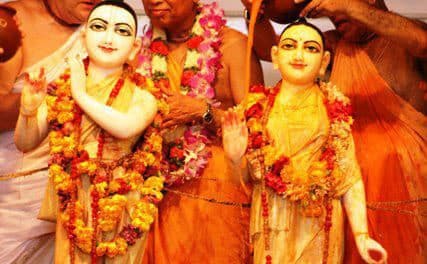 ***Post Script – The latest development is that the Gurukula has put a claim into the GBC that they want the cows land (ISKCON Goshala) instead of getting some other land and having their secular school that pays lip service to Srila Prabhupada built far away from the money draw card of Sri Vrndavan. 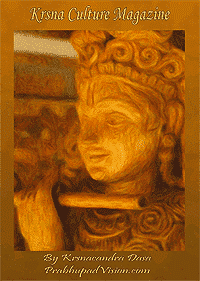 There is certainly trouble in the paradise of the ISKCON property developers! The point these greedy people are missing is that the Goshala land is for Krsna’s cows and not their greedy plans. 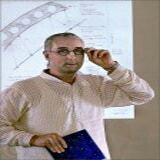 The Gurukula building is for Vedic education and not karmi secular education. NextWho is the CPO really protecting?